This is a demo aggregation site, or a portal, gathering several demos from multiple target machines. An "Ada for Automation" based application can be built with a Web User Interface (WUI) and allows to monitor and control its operative part. Here you can get an idea of what is possible to achieve with this framework. Somewhere in the cloud there is a virtual machine running a Debian distribution. 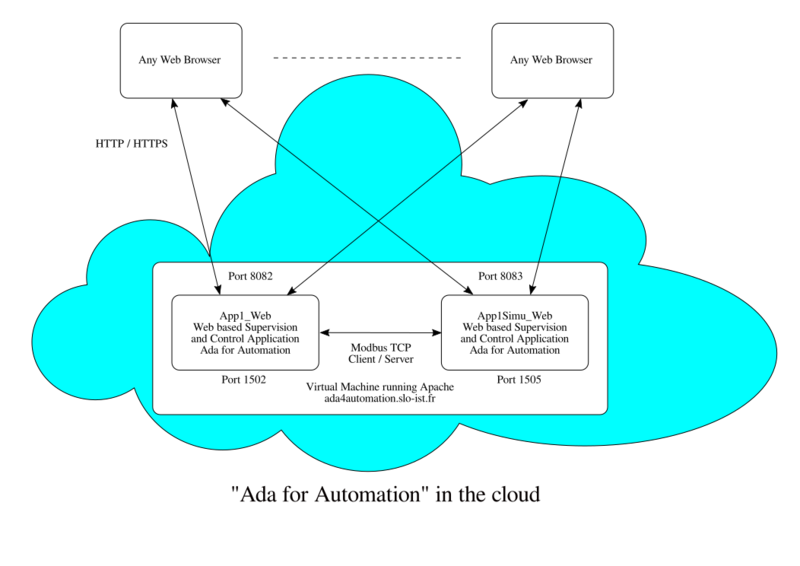 The Apache web server can be configured to proxy many virtual hosts, each connected to an application. Some of the example applications are running on the same virtual machine, some are running on other target machines connected to real operative part using industrial communication protocols by means of Hilscher products. Again, no mystery, Stéphane is an Hilscher France technical support guy! 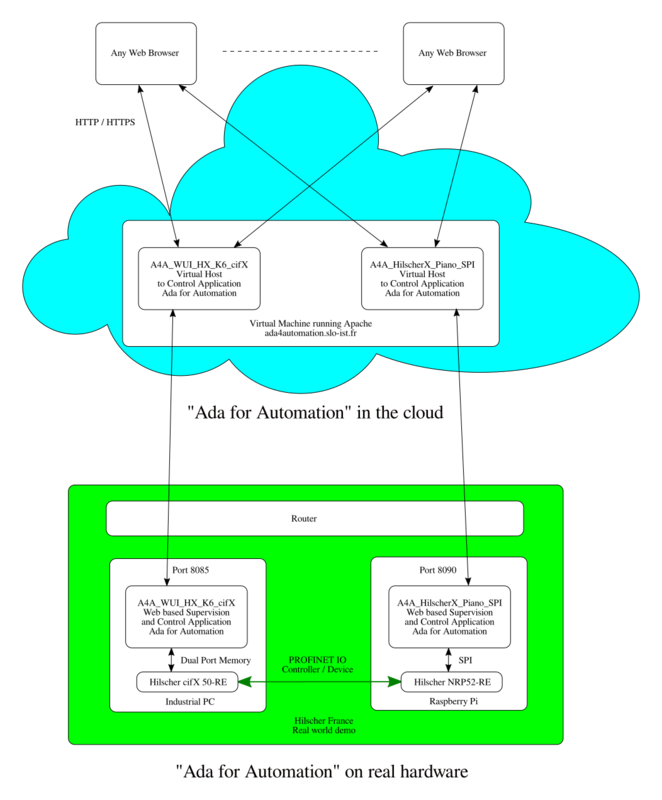 The Gnoga FAQ explains how to configure the Apache web server to proxy virtual hosts. It also explains how to use HTTPS and this will be the next step! This example shows one application controlling a piano application. This example shows one application controlling a simulation of an operative part. 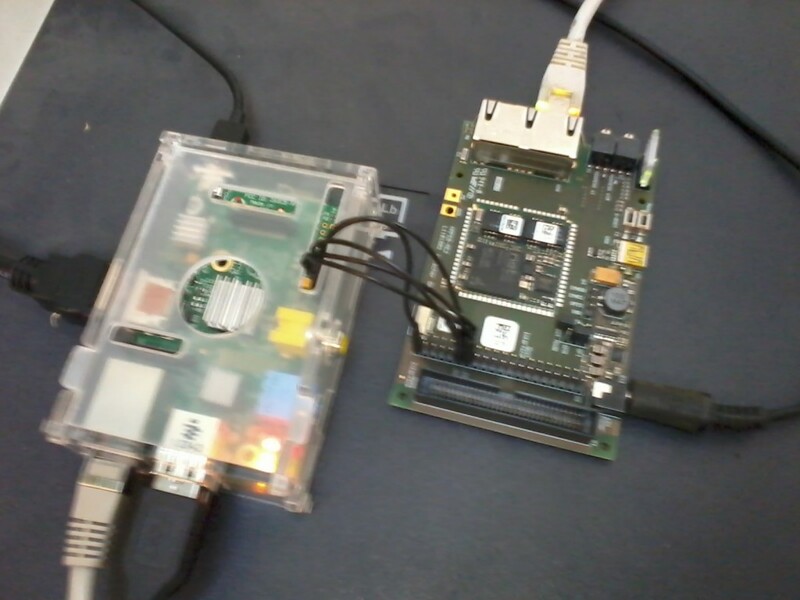 This example shows one application, running on an industrial PC on top of a GNU/Linux Debian Jessie and using a Hilscher cifX board configured as PROFINET IO Controller, controlling a piano application. The piano application is running on a Raspberry Pi Model 1 B+ on top of a GNU/Linux Raspbian Jessie with a Real Time kernel. There are many articles about building a Real Time (PEEMPT_RT) Linux kernel for the Pi on the web but I am a lazy person and so I have used the one provided here by Mister Frank Dürr (Thank you Mister !). The piano application uses a Hilscher netRAPID Evaluation Board configured as PROFINET IO Device, connected through an SPI connection.